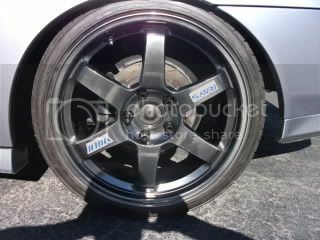 18" TE 37 wheel hop/, smaller wheels w/ bigger tires? heavier wheels? Suspension? 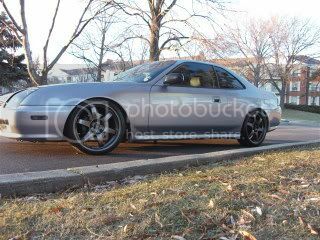 Lots of questions about wheels, suspension, and tires that are 5th Prelude specific being that every car is made differently. I currently have 18" Volk Racing TE 37 wheels with 215/35 Falken all season tires (yes I do understand I will need better tires) I had powdercoated hyperblack and I love them. I have had them in different colors for over 7 years. Suspension now = good ole APC high quality coilovers I have had on there for like 7 years probably (I am sure you can pickup the sarcasm, I didn't know any better). I have pretty much spent all my time and energy on less important mods and now I am ready to grow up and fix these issues. Main issue is traction and wheel hop. I have a lot of areas to improve in suspension wise, but before I make any decisions, I wanted to figure out whether or not I can keep these and still get good traction as well as stop the wheel hop keeping the VOLKS wheels. I am running 8lbs of boost right now and even when I feather the gas, I can only really use the power band until 3rd gear. 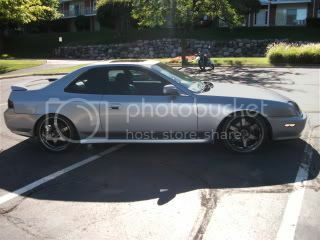 Doing my research, and correct me if I am wrong, you cannot fit 40 series tires on a dropped lude with 18's. Even if I lifted it up, is that true? I still want it dropped, but I am willing to raise it if that would work in conjunction with quality tires and a decent suspension set up. Next option is to get with a heavier 18" wheel with a very good set of tires and get rid of the CF hood and go back to stock (for added weight). Suspension will still be a high priority, just don't want to get everything set up with these wheels or some heavier 18's and end up with the same issue. Another option is to go down to 17's, still light wheels with 40 series quality tires. Would I still need a heavier wheel, or will the extra rubber make up the difference? I realize that my horrible suspension is a huge part of this, but I planned on using the money from selling the VOLKS and getting a decent 700$ coilover and shock setup. The ride is absolutely terrible, so stiff, and I am sure the shocks have been a done deal for a long time. I do have a camber kit installed. Traction bar solve all my problems? Engine Damper? Again, sort of sarcastic, but still wondering a combo of those two plus better tires and the stock hood adding weight would make a big enough difference. What are some thoughts about this? I am looking for the less expensive way to get rid of the wheel hop and poor traction for now, and I will address the other issues one at a time. Re: 18" TE 37 wheel hop/, smaller wheels w/ bigger tires? heavier wheels? Suspension? a good coilover setup will have to be stiff as well in order to keep clear of the wheels and tires. you should have done your homework before buying 18's. you can run 17's with a nice coilover setup and run mild damping. that will give you not so firm of a ride. Yeah, I had no idea 7 years ago when I purchased the rims. They have been great up until I boosted. I am selling them for 2250$ with tires. I will be posting them fore sale on the forums pretty soon. Thanks for the advice. step 1) traction bar AND motor mounts, ASAP! step 2) ditch shiitty coilovers, get GOOD ones! pm me if wanting to sell wheels/tires. individual pics please. very interested. You can fit 40 series on 18s with a drop. my car isn't severly dropped, some say it's way too high. it's corner balanced so it's set up right. I have 215/35 R18 in the front and 225/40 R18 in the back. the rims are 18''x7.5" +43 offset. the wheels are just a few mm shy of the edge of the wheel well. Last edited by ogsmakdade; 02-15-2011 at 03:53 PM. I do have a lip kit now, but its not on the car. 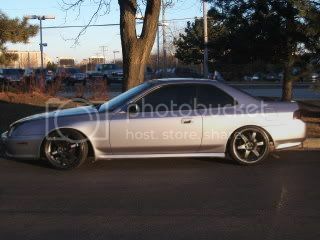 I have the JDM front bumper and fenders as well. Looks good man, but defeats the purpose of bigger tires for me. I am looking to fit them in the front not the rear, and there just would be a good enough drop for me. I do have a lip kit on the car now, I just haven't yet taken pictures (waiting on the side skirt to come in, have front and rear installed already). I also have a type s mid wing spoiler to paint and install.